John Oliver founder Atlantis Pools, Tulsa, Ok.
John is a master pool builder. His eye for meticulous detail has developed over his nearly 40 year career designing and constructing in ground swimming pools. His career began in the late 70's literally down in the trenches. He worked for a pool company in Tulsa for a few years learning all he could but was not happy with how the customers were treated. So he set out on his own and began Atlantis Pools. Building only a few pools a year and doing much of the work himself, referrals began coming in and the company steadily grew. At the beginning he did everything from operating excavation equipment to finishing concrete. 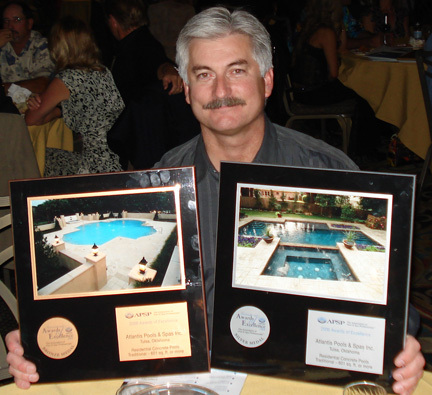 John is one of the few swimming pool company owners that has actually performed all aspects of swimming pool construction. He has done it all! 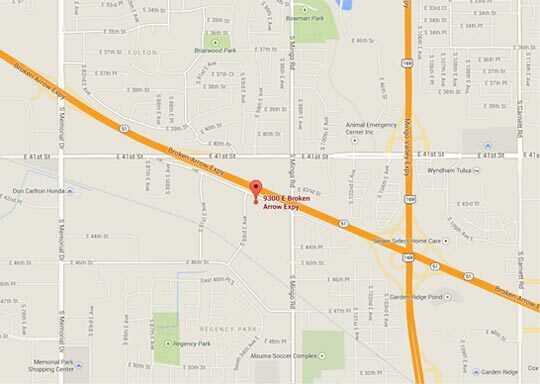 In 2003 the company moved to its current location with 9,000 square feet of office, warehouse and equipment space. Today he is the most sought after builder in Oklahoma. He knows his craft and strives for perfection. Other Tulsa pool builders have looked to him for assistance with difficult construction projects. He has been awarded numerous International, National and Regional awards for his designs. John was the first Certified Building Professional (CBP) in Oklahoma, having been certified in 2002. In fact he was certified 10 years before anyone else in Oklahoma. 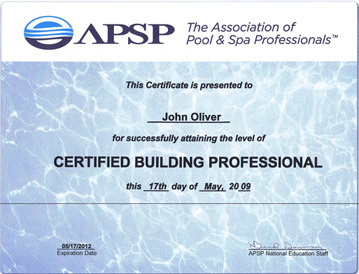 This certification is from the worlds largest organization of professional pool and spa builders. 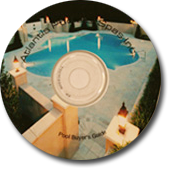 The Association of Pool & Spa Professionals (APSP). 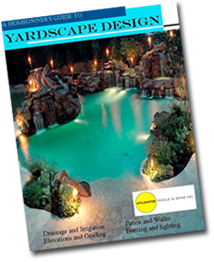 They have developed the most comprehensive testing program for today's builders to demonstrate their mastery of the latest techniques in pool and spa construction. Atlantis Pools continues to maintain memberships with the Tulsa Better Business Bureau as an accredited member, The Association of Pool and Spa Professionals and the prestigious CareCraft Group. *Certificate copy is of recent renewal. Original certification was in 2002.